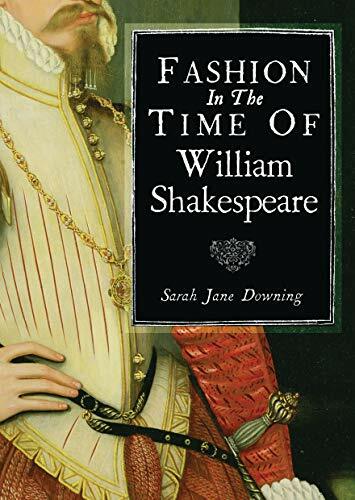 "This rather short book is actually packed to the gills with information on the fashions those alive during the time of William Shakespeare may have worn. Mostly about the upper classes, we are given much detail on how the fashions evolved during the years of Shakespeare's lifetime (roughly the late 1500s). Downing gives us many illustrations and paintings to show us how items were worn, even devoting an entire chapter to the ever-expanding ruff. Both men's fashion and women's fashion are covered in this slim volume, and details such as cloth types and width of skirts are examined. This book would be invaluable especially to those who write of the period and need visual cues to explain the fashion of the day." --Historical Novel Society "A thought-provoking and well-illustrated introduction to the subject. As well as images, she uses many quotations from contemporary writings to demonstrate how controversial clothes could be. Sarah-Jane Downing explores the development of many kinds of clothing including the different styles of farthingales, jerkins and doublets." --The Shakespeare Blog This rather short book is actually packed to the gills with information on the fashions those alive during the time of William Shakespeare may have worn. Mostly about the upper classes, we are given much detail on how the fashions evolved during the years of Shakespeare's lifetime (roughly the late 1500s). Downing gives us many illustrations and paintings to show us how items were worn, even devoting an entire chapter to the ever-expanding ruff. Both men's fashion and women's fashion are covered in this slim volume, and details such as cloth types and width of skirts are examined. This book would be invaluable especially to those who write of the period and need visual cues to explain the fashion of the day. "Historical Novel Society" A thought-provoking and well-illustrated introduction to the subject. As well as images, she uses many quotations from contemporary writings to demonstrate how controversial clothes could be. Sarah-Jane Downing explores the development of many kinds of clothing including the different styles of farthingales, jerkins and doublets. "The Shakespeare Blog"" "This rather short book is actually packed to the gills with information on the fashions those alive during the time of William Shakespeare may have worn. Mostly about the upper classes, we are given much detail on how the fashions evolved during the years of Shakespeare s lifetime (roughly the late 1500s). Downing gives us many illustrations and paintings to show us how items were worn, even devoting an entire chapter to the ever-expanding ruff. Both men s fashion and women s fashion are covered in this slim volume, and details such as cloth types and width of skirts are examined. This book would be invaluable especially to those who write of the period and need visual cues to explain the fashion of the day." "Historical Novel Society" "Athought-provoking and well-illustrated introduction to the subject. As well as images, she uses many quotations from contemporary writings to demonstrate how controversial clothes could be. Sarah-Jane Downing explores the development of many kinds of clothing including the different styles of farthingales, jerkins and doublets." "The Shakespeare Blog""
Garments and accessories are prominent in almost all of William Shakespeare's plays, from Hamlet and Othello to A Midsummer Night's Dream and Twelfth Night. The statement 'Clothes maketh the man' was one that would have resonated with their audiences: the rise of England's merchant class had made issues of rank central to Elizabethan debate, and a rigid table of sumptuary laws carefully regulated the sorts of fabric and garment worn by the different classes. From the etiquette of courtly dress to the evolution of the Elizabethan ruff, in this vibrant introduction Sarah Jane Downing explores the sartorial world of the late-16th century, why people wore the clothes they did, and how the dizzyingly eclectic range of fashions (including ruffs, rebatos and French farthingales) transformed over time.